Sunday afternoon we had arrived around three. It’s recommended that you give yourself at least two hours to walk around the whole centre, which with an opening time of 10 till 7 from Friday to Sunday and 10 till 6 on Monday to Thursday, We had plenty of time. As we arrived there, we saw a fairly long queue to buy tickets. The price of getting into the Aquarium is £20.70. However if you book online they are considerably cheaper. There is a concession rate, however disappointingly the criteria for this does not extend to students. Once we got in, we immediately found ourselves walking on a clear glass floor with a tank of different fish swimming directly beneath us. An experience which was by far an awesome way to introduce us to what we had ahead of us. So the Aquarium is divided into fourteen subdivisions, each based on a theme for example ‘Nemo’s Coral Cave’. Each gave us an insight to what we would see in that environment, as well as the conservation work being carried out, to protect those creatures. I particularly liked the ‘Rainforests of the world’ as they had a soil textured flooring and leaves hanging from the ceiling. Without a doubt the set up and presentation of the centre is primarily targeted towards children, with interactive activities such as a trail to guide them through all the exhibitions. I felt that with the set up being so child orientated, it was more difficult as an adult to be consistently occupied with interest and engagement. There was little information about the sea creatures so I found myself not being able to widen my knowledge on sea life, which is something I had hoped to do. I also noticed a lack of seating available throughout, with narrow pathways, It meant standing and walking for most of the two hours which was bearable for me however I can see the difficulty this may cause for others. Seeing lots of different species of fish was for me an amazing sight, and despite the crowds and noise I did find myself being able to take the time to properly appreciate the beauty of some of the displays. I was in awe when I got to see the Green Sea Turtles. It was defiantly the highlight of the trip. 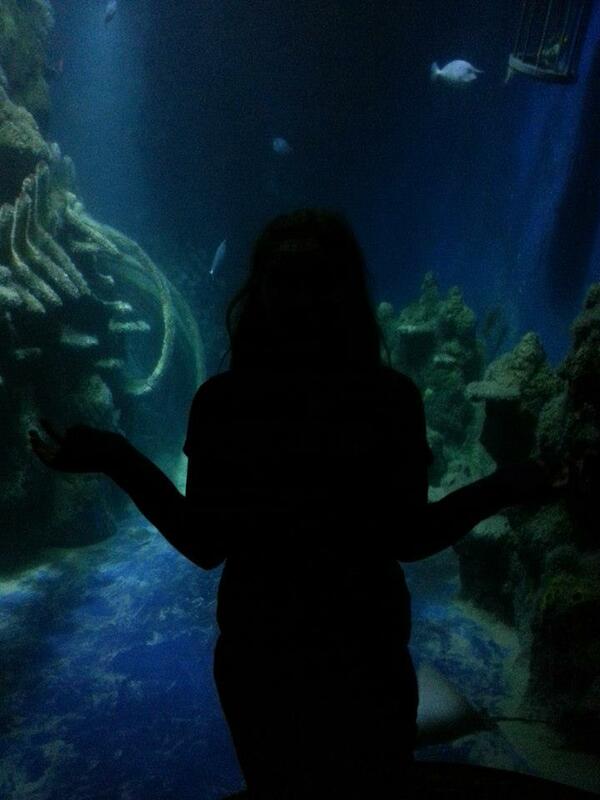 I also enjoyed seeing the sharks, rays and piranhas up so close. 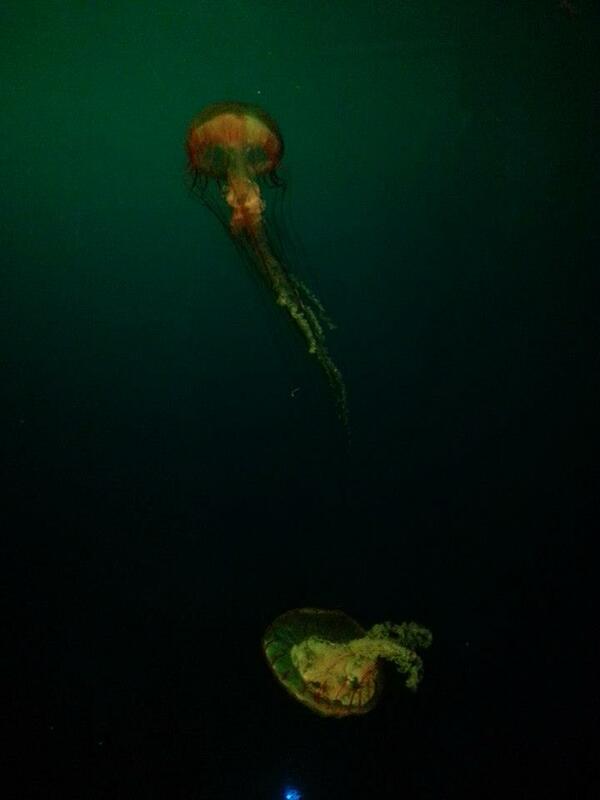 The jellyfish were an extraordinary and mesmerising sight. I was disappointed however by a few of the displays. The ‘Seahorse temple’ zone for example, seemed to lack sea horses… ? The Gentoo Penguins were also a bit of a disappointment, in a different way. 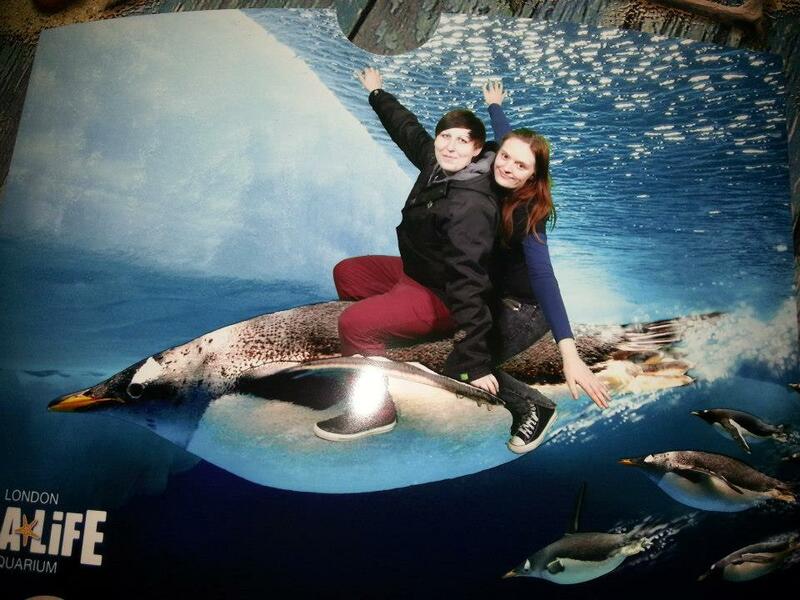 Their enclosure didn’t look very penguin friendly. It was fairly small and although they did have 50/50 water and land, It was all indoors, meaning they don’t get fresh air, and with an entire wall as a screening for visitors to see through, there wasn’t any where they could really hide, and therefore was constantly being watched. I also noticed a lack of enrichment for them. Overall I felt quite sad for the penguins. They do have a gift shop which is mainly kids toys and souvenirs, they also had the general tourist features such as photograph taking and lots of donation opportunities. The Aquarium is amongst other tourist attractions in the South Bank and has lots of places to eat nearby. All in all I’m glad I went, I really enjoyed the day and although there was some disappointments, there were many things that made up for it. Overall However I don’t think it’s worth the amount I paid to get in, and recommend to anyone who is going to look online and find out the cheapest possible way to get in. Would I go again? I’m not sure. I feel like now I’ve been, there isn’t anything else I’d get out of a return visit. I would recommend it, especially as a family day out. Although advise not to have high expectations, despite it being a London tourist attraction.